Nick Webber is the founder of Take One Productions. His career is steeped in the video production and multimedia industry. Nick spent 11 years in the Government Information Service producing, managing and editing over 200 programmes. Prior to this, he worked in a leading advertising agency in London as a producer. 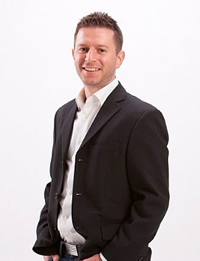 As well as being Senior Producer, Steve is a Director of Take One Productions. Steve is a member of the Guild of Television Cameramen and has a BA (Hons) in Media Production, with over 25 years television and corporate production experience. 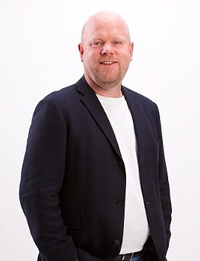 Steve’s entire career to date has been in media, working with Sky Sports, Meridian Television, as a freelancer in the UK and in the on-air promotions department for Television New Zealand. Steve joined Take One in 1999. As well as being highly skilled in all aspects of video and multimedia production, he heads up the e-learning and live streaming arm of the business. He has managed projects and contracts for L’Oréal, The Bodyshop, Interserve, Elekta, Last Mile Link Technologies, Bilfinger GVA, BHP Billiton, G&N Medical, Wates, The Chartered Insurance Institute, Institute of Practitioners in Advertising, Thames Water, Training and Development Agency… to name but a few. The production team are all qualified, highly skilled and experienced in the various aspects of video and multimedia production. We also have an established bank of long standing freelance experts that we are able to call upon when workloads demand. All our production staff are supported by an experienced team which provides administrative, IT and financial support.